What do browned butter, pure peppermint extract, and dark chocolate chips have in common? 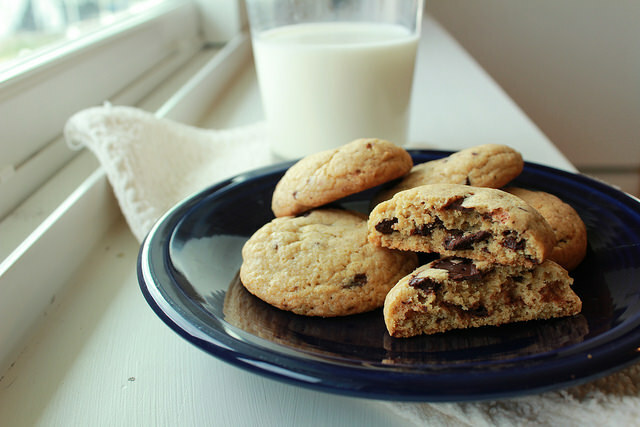 Combined with your typical cookie dough ingredients, they make an amazing cookie. The fresh minty taste, along with rich dark chocolate has quickly made these cookies a staple in our household. 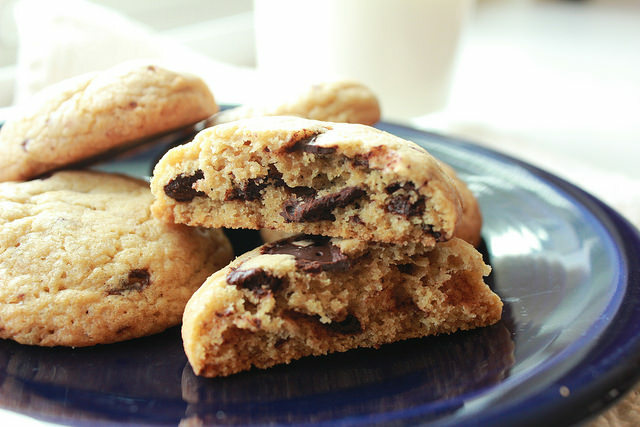 If you’re a fan of Thin Mints and chocolate chip cookies, I have a feeling you’ll love these! Yum!!! I love any recipe that calls for dark chocolate! You photographed those so well, now I’m tempted to make some! Same here! Dark chocolate is the key to my heart lately! Ohhh girl, these look decadent. Oh yum! These look amazing! 🙂 I love anything with dark chocolate. 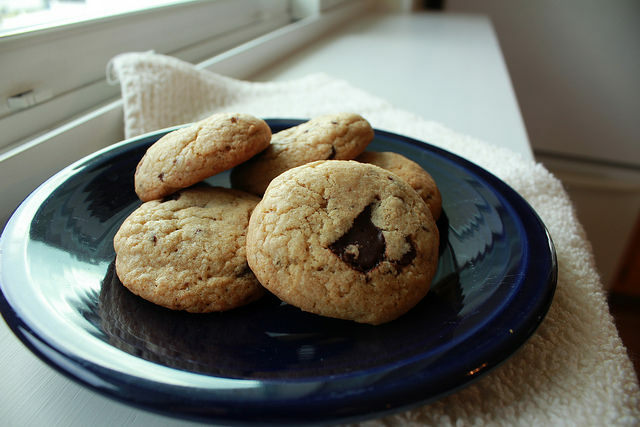 Have you tried combining dark chocolate and hazelnuts in a cookie? I think that would be a tasty combo! These look and sound so tasty!! I’m definitely going to try them.